“His left leg is completely swollen. He sleeps all day because he’s too weak to do anything else. Only chemotherapy can save him, and it’s the one thing I can’t give him. Every day is a battle for life and money.” - Manju, Sivakumar's father. Sivakumar (7) woke up every day excited to go to school. He always had full attendance and loved playing with his friends. 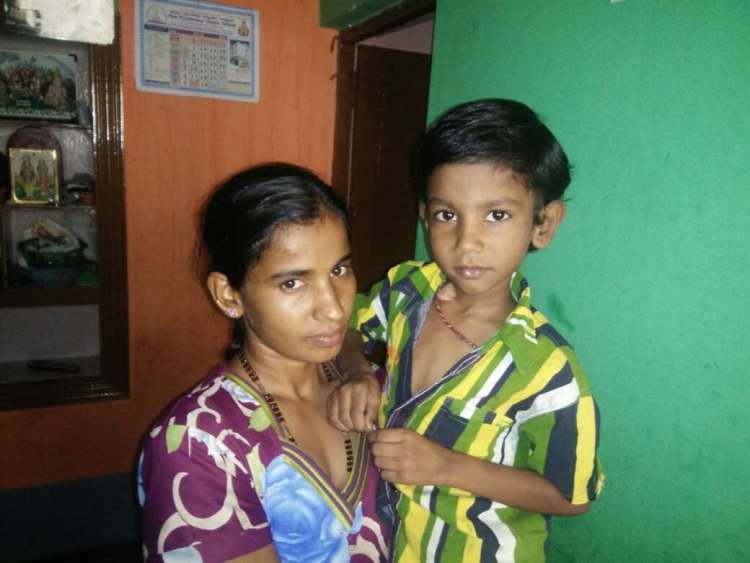 Now, Sivakumar hasn’t gone to school in two months and won’t be able to go back anytime soon. 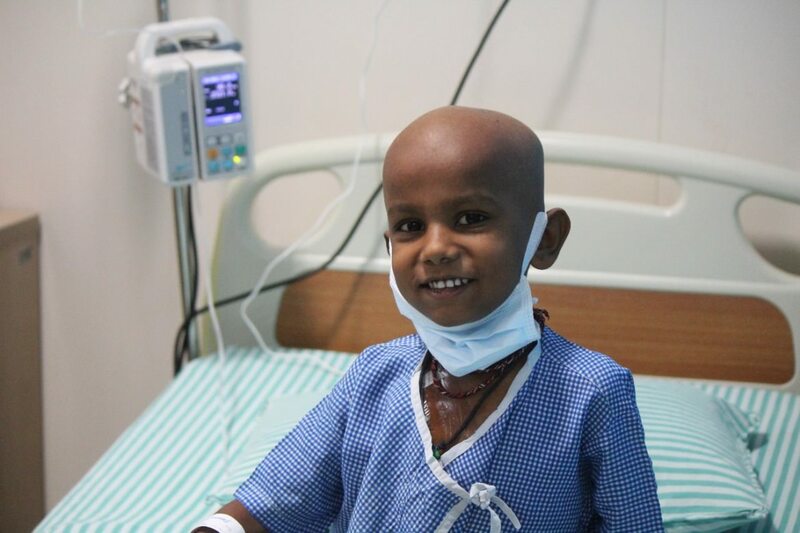 Bone cancer has confined him to a hospital bed and made this once active child weak and helpless. Sivakumar clutches on to his favourite toy car even when he’s lying down, desperately trying to be like how he was before cancer, but Sivakumar can only be saved with chemotherapy and surgery. It was just another day for Sivakumar as he returned home after school with a bruise on his leg. It wasn’t unusual for him to fall while playing with his friends, and his father, Manju, thought he would be fine in no time. Unfortunately, a few days later, his leg started swelling, and it only got worse. Sivakumar has undergone one cycle of chemotherapy so far and has five more left. He also needs a surgery for his left leg, followed by more chemotherapy. 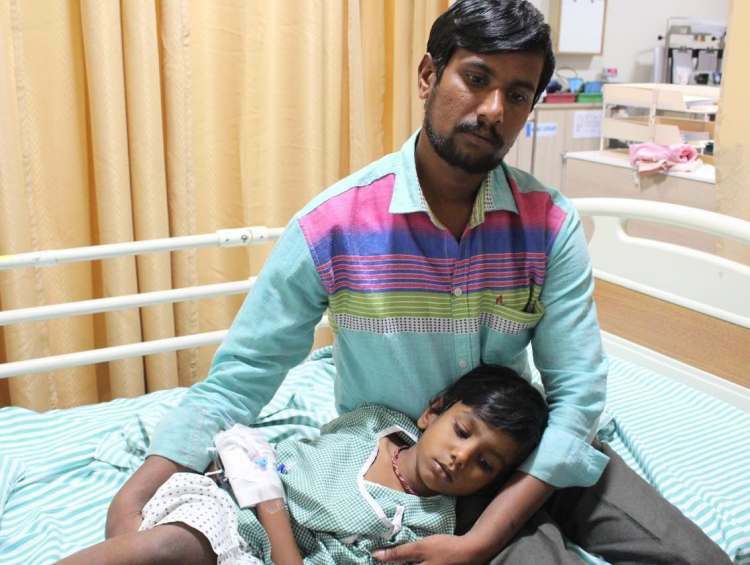 Manju has told Sivakumar that he needs to stay in the hospital till his leg gets better, however, he doesn’t know how he’s going to continue his son’s treatment, which will cost lakhs, on an income of just Rs. 200 per day. The news of Sivakumar's cancer was more than what his mother, Lakshmi, could handle. She has stopped eating and is constantly anxious. Sleep has evaded her, and on some days, she finds it difficult to even talk to Sivakumar without completely breaking down. 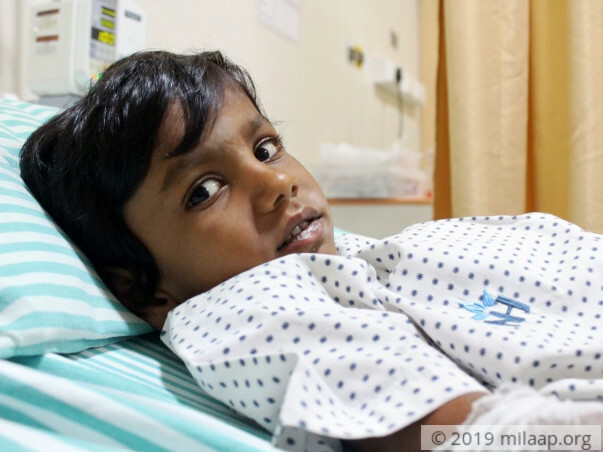 Their daughter, Mahalakshami (5), stays with Lakshmi in their hometown, while Manju is with Sivakumar in Bangalore for his treatment, struggling to bear the expenses of his piling medical bills. 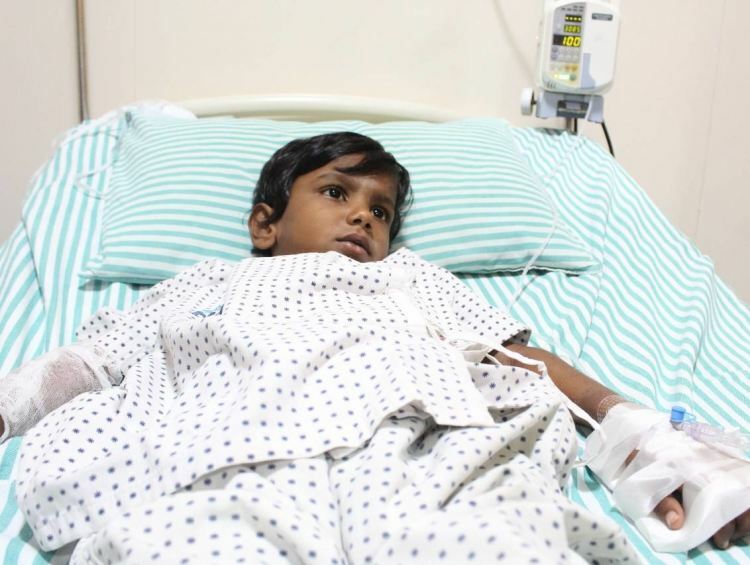 Only chemotherapy and surgery will save Sivakumar from the clutches of cancer. Manju is a daily wage labourer who works on other’s farms for a living. Ever since the diagnosis, he hasn’t gone back to work and is fighting poverty every day to give his son the life-saving treatment. 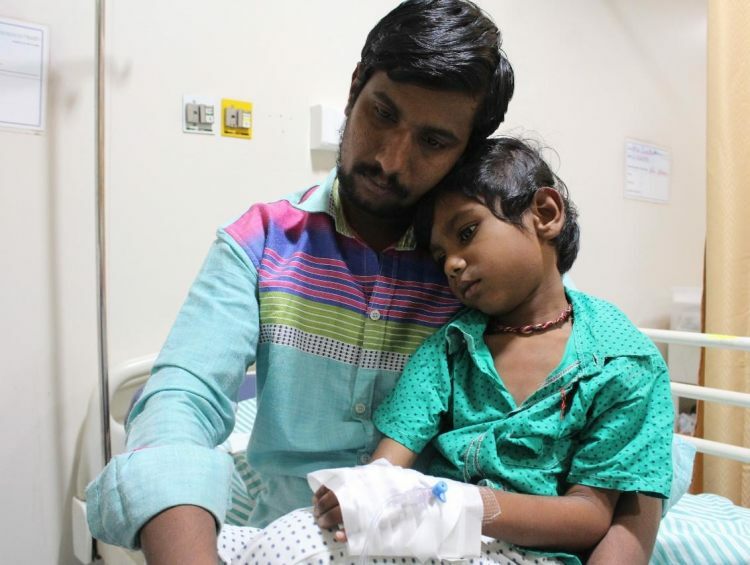 All Sivakumar wants to do is get better and go home, but Manju worries that his empty pockets will make his son lose his leg and life to cancer. 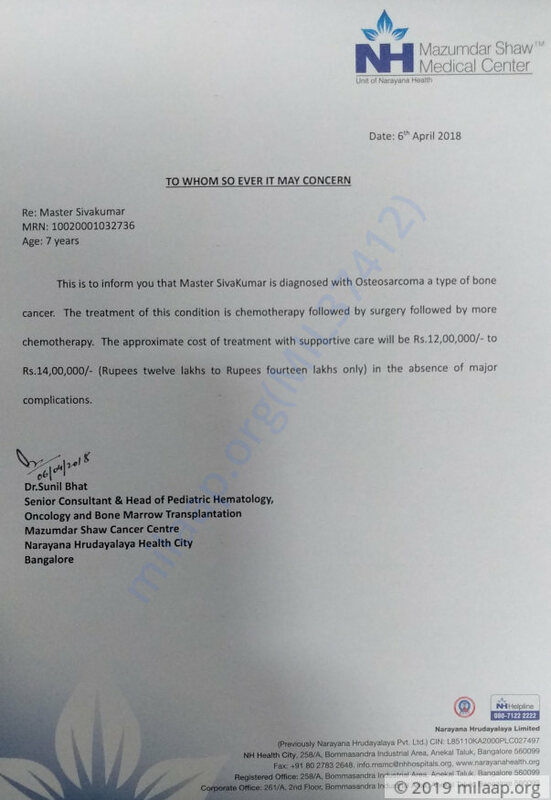 Sivakumar urgently needs your help to fight bone cancer. 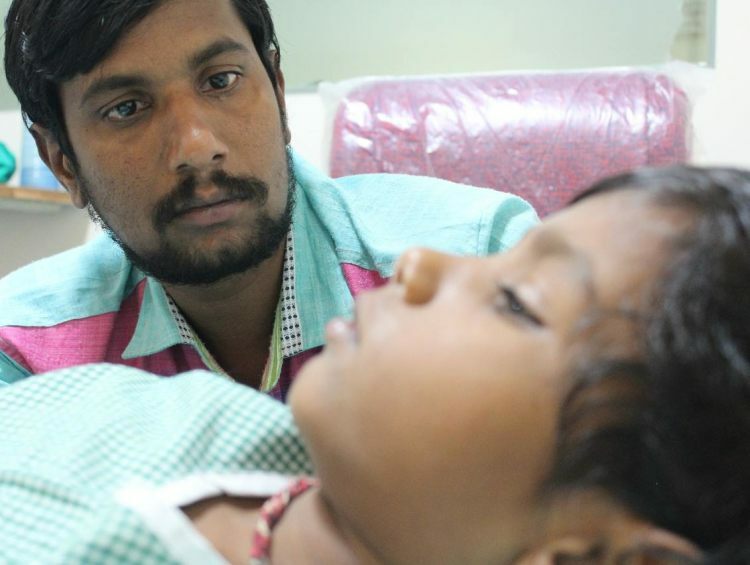 Your support will save Sivakumar’s life. Siva kumar is on the 2nd cycle of chemotherapy, after 1 more cycle of chemotherapy he will be planned for surgery. He is showing signs of improvement. He has successfully completed the first cycle of chemotherapy and the second cycle is likely to start post July 2nd, 2018. We are all hoping to see him recover soon. Thank you everyone once again. We shall keep you posted.